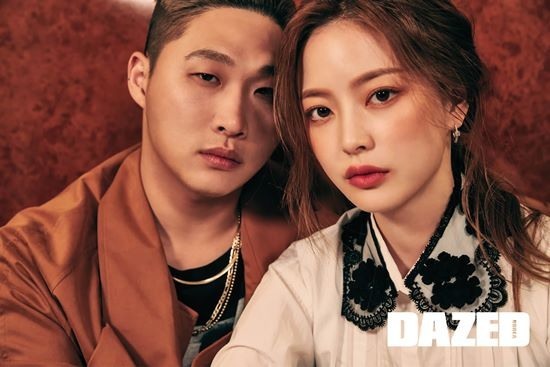 Rapper Swings and his girlfriend, model Lim Bo-ra, appeared very much in love in a recent photo shoot with the fashion magazine Dazed & Confused. The pair put on a united front in the photos as they leaned toward each other intimately for the camera. 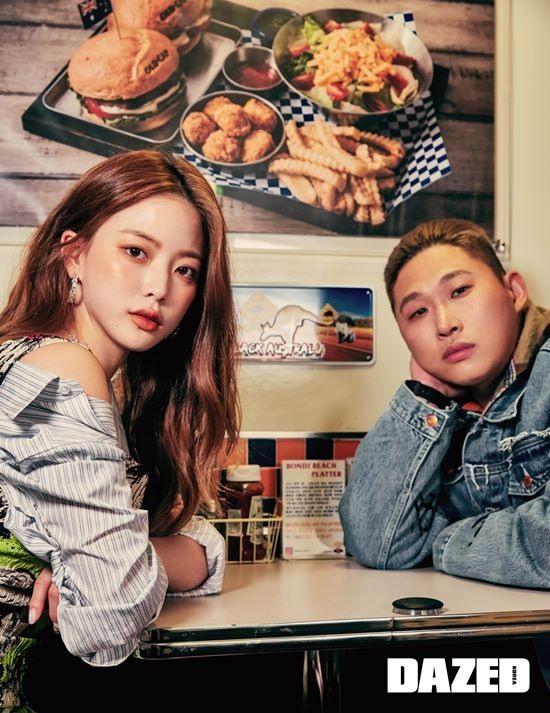 Swings looked charismatic wearing a light brown jacket coupled with gold chains, while his girlfriend showed off flawless makeup. Lim also wore earrings from the jewelry brand Trois Rois, which dangled delicately and complemented her porcelain skin. The photos were taken with the concept of a couple enjoying a date. In one photo, the two gazed into each other’s eyes, making the photos more convincing. The rapper released the album “The Intr0” last week, and fans soon saw Lim promoting it on her Instagram account. The two are believed to have been dating since early last year. The photos are available in the digital edition of Dazed & Confused.